Residents have a longitudinal Community Medicine curriculum designed to facilitate the development of knowledge, attitude, skills and behavior to place their patients’ needs in the context of their community, in order to become more effective, socially conscious family physicians. 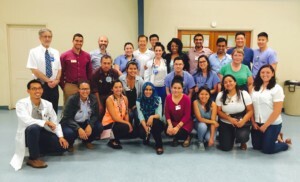 Using a Community Oriented Primary Care Model, residents conduct and learn about community health analysis and intervention, cultural sensitivity, epidemiology, clinical and social research,community advocacy, and social change over a three-year didactic and experiential longitudinal curriculum. Established in 1992, a monthly medical clinic is held at a local church soup kitchen. We see patients from diverse backgrounds. From those experiencing homelessness to those recently immigrated to regular attendees, the clinic is open to all. Our objective at this site is to provide acute care services including medications and immunizations with the eventual goal of getting patients connected to greater resources within the county health system. Referrals are made to our own clinic and occasionally patients need to be sent to the Harbor-UCLA ER. The free clinic is staffed by several attending physicians, most of whom are Harbor-UCLA Family Medicine graduates, and continues to be coordinated by 2nd and 3rd year residents and helpful pre-medical volunteers. Our program has established a clinic at Gardena High School providing on-site care for high-risk, inner-city youth. Comprehensive health services include preventive, chronic and acute care, family planning, prenatal, and obstetric care. We also provide individual and family counseling services. Please read under “Clinics + Hospital” for more information. 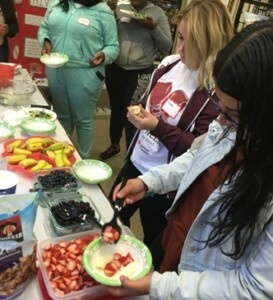 Desiring to address childhood obesity prevalence in lower income communities, Harbor-UCLA Family Medicine faculty designed YOLO to be an innovative after-school pediatric group medical visit where students learn about nutrition. Interactive lessons led by residents incorporate healthy snack making, instant recess and field trips. Students also learn about social factors contributing to the high obesity rates in their communities. Over the course of 10 weeks, resident receive leadership and teaching opportunities while working high-risk, inner-city adolescents under the supervision of faculty with decades of adolescent medicine experience. Banning High School, located in the nearby underserved community of Wilmington, has one of the highest drop-out rates (45%) of any school in the Los Angeles Unified School District; furthermore, it is also experiences high rates of teen pregnancy. We know that students with positive role models in their life, someone that they can trust, show significant improvement in school attendance, grades, and graduation. 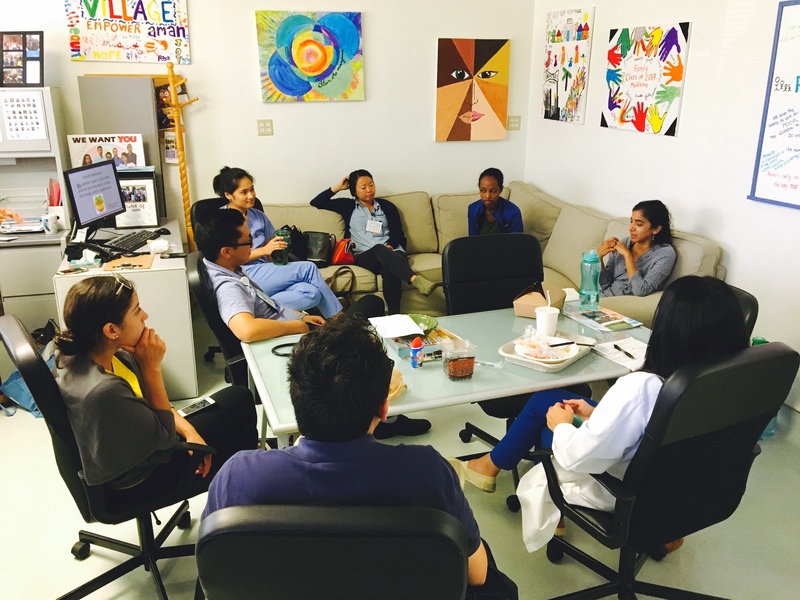 With this in mind, during our Summer Urban Health Fellowship project, high school student participants are matched with interested residents, medical students, and undergraduate mentors. Mentors spend one-on-one and group time with their mentee in both formal and informal endeavors. Since inception, mentor/mentee activities have expanded to include job site visits, SAT preparation, resume writing, assistance with college applications, college tours, and academic tutoring. Behavioral Intervention in Family Medicine (BIFM) is our hands-on behavioral health curriculum that is integrated into residents’ regular clinics at our family health center. 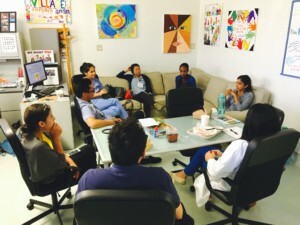 Residents team with mental health staff to assess not only the impact of illness within the context or the patient’s life, but also the psychosocial issues of health care and illness adaptation. An additional focus is assessment to determine readiness to change, and intervention to promote preventive health and behavior change.